description: This route connects the Alimonta Refuge to the Tuckett Refuge by going around the western spur of the Punte di Campiglio. 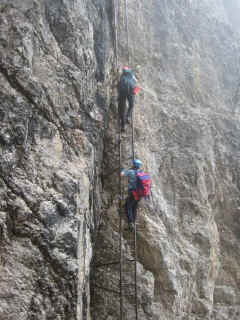 It is not particularly difficult except for two very long ladders which enable you to get past the dark canyon which comes down from the peak. 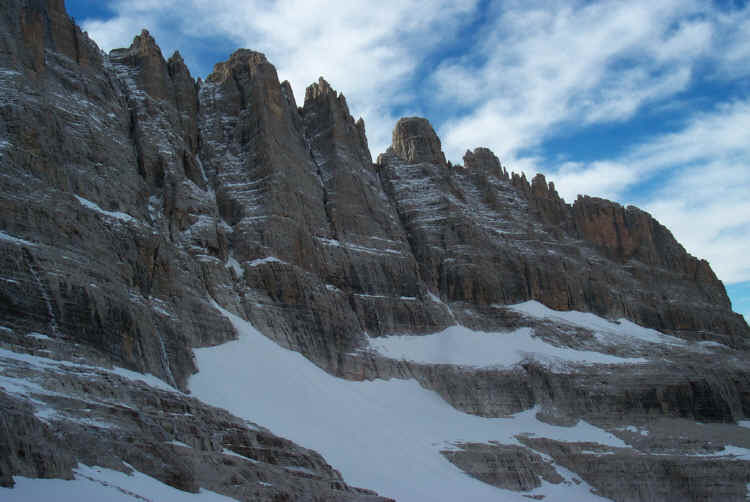 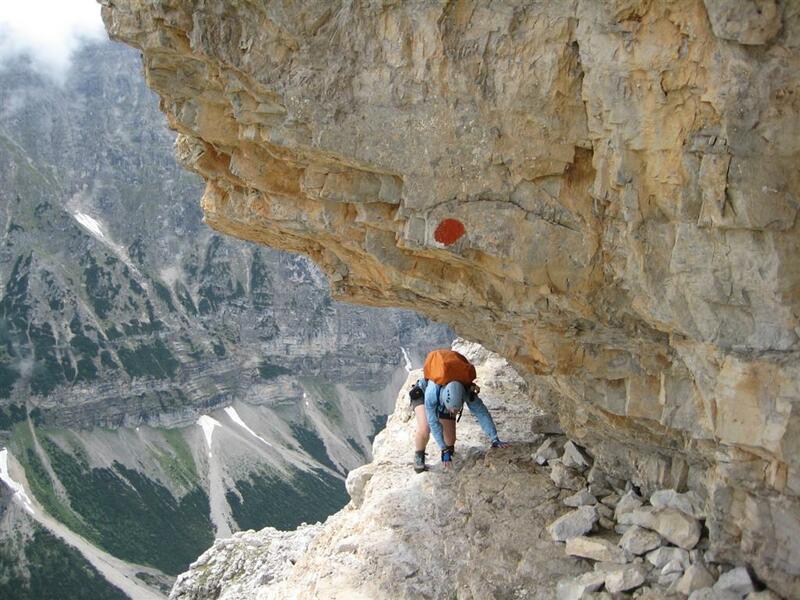 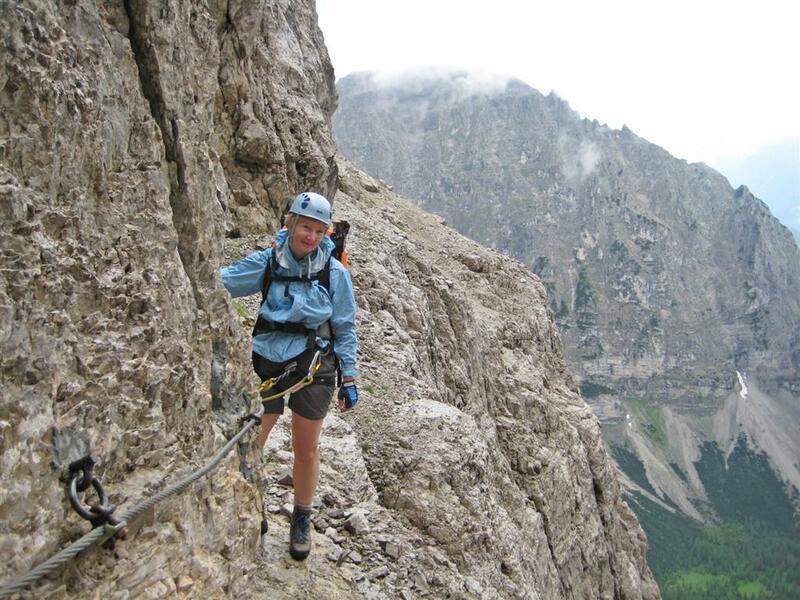 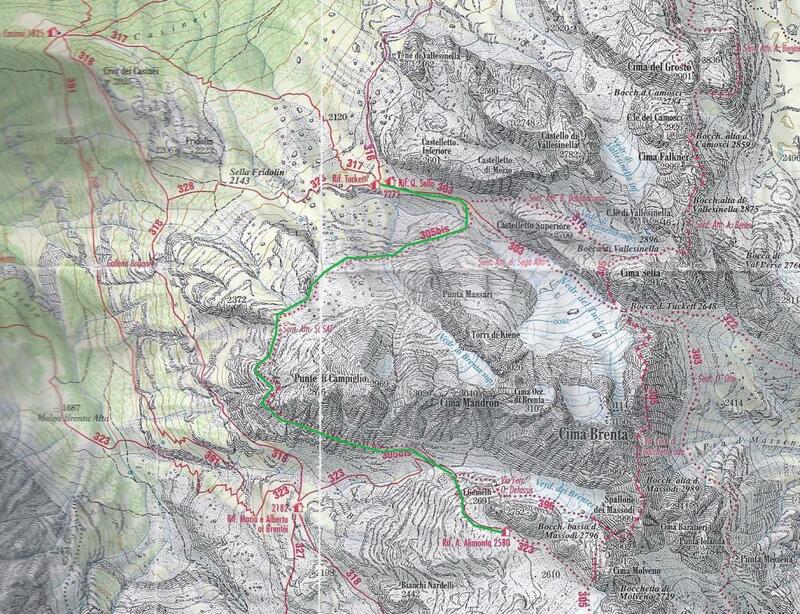 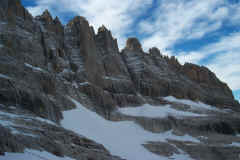 The starting point of the Ferrata Sosat near R. Tuckett. 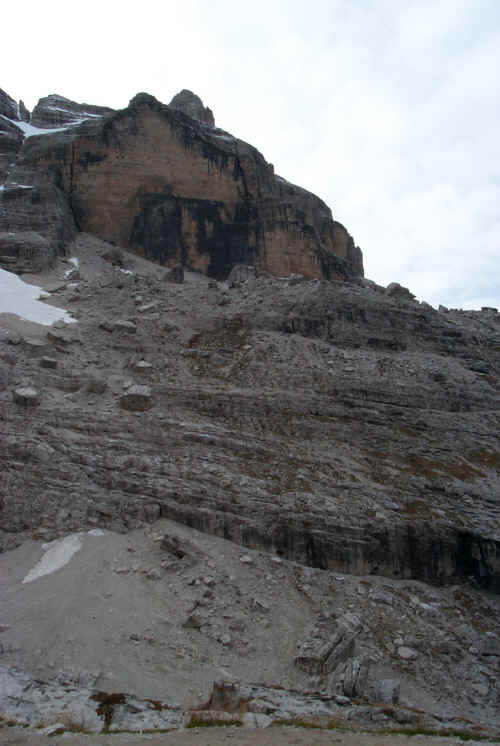 Panorama dal sentiero Sosat: dalla Cima Tosa a sx, Cima Margherita, Brenta Bassa, Bocca di Brenta, Brenta Alta e. sopra le nubi, Torre di Brenta e vedretta degli Armi.